Helsinki International Film Festival – Love & Anarchy is mainly an invitation only festival. Please note that the programming team only responds to suggestions they wish to know more about, so unfortunately we cannot guarantee that the film will be watched or your message answered. The feature film programme is curated by the L&A Ministry film programmers lead by artistic director Mr. Pekka Lanerva. There is no submission for feature films. If you want to suggest your film to the festival programming team, you can do so via our Contact form. Please also note, that HIFF mainly presents films from Europe. Helsinki International Film Festival – Love & Anarchy screens only European short films and is mostly an invitation only festival. You can suggest your film by sending a preview link together with a film’s presskit to submissions@hiff.fi. Please note that the programming team only responds to suggestions they wish to know more about, so unfortunately we cannot guarantee that the film will be watched or your message answered. 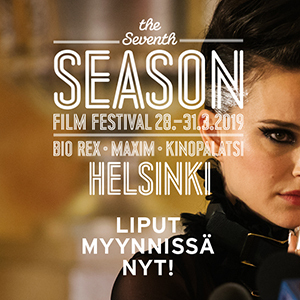 The submission for the 2019 National Competition (only for films produced in FINLAND) is now open until May 31st. If you would like to let us know about a film you would like to see in the festival programme, you can also do so via the Contact form.